Because the skateboard culture is a pretty big deal, it’s no wonder that we are experiencing an arrival of electric powered skateboards which aren’t actually suited for skate parks but for covering a mid range distance in a short amount of time, despite the fact that they have to be built sturdy. 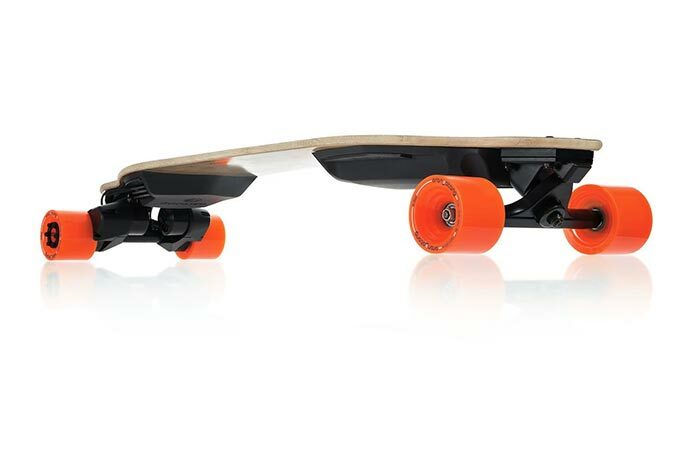 One such skateboard is the Boosted Dual+ Board which doesn’t have one electric motor, but two motors placed on each end of the bottom side of the board. Both of the motors used with this longboard are 1000W electric motors which means that they are capable of achieving decent torque and commendable speeds for an electric powered skateboard. Keep in mind that this is a skateboard and you won’t get to move at superspeeds, but the Dual+ Board’s motors are capable of a pretty decent performance. With a press of a button you can achieve a starting speed of 15 mph. You can go as fast as 22 mph at the highest setting, but the overall speed largely depends of the weight of the person riding on this longboard. With the average weight of 185 lbs you can definitely achieve 22 mph and if you happen to be lighter you might move a bit faster. On the aesthetic side, the motors are seamlessly integrated into the construction of this board which make them difficult to notice. As a testament to just how powerful these motors are, the Boosted Dual+ Board is capable of a 25% grade uphill climb much faster than professional level cyclists can climb. Think of it this way, a professional cyclist is capable of generating power equal to 500W of electric energy while making climbs such as these, while you have 2000W motors available at the palm of your hand. This longboard uses an ergonomic Bluetooth controller to power it on and move through its speed settings. There are two switches: the first one which has to be pressed at all times during your ride or the motors will power down, and the second one, which is actually a thumbwheel used to accelerate and brake. 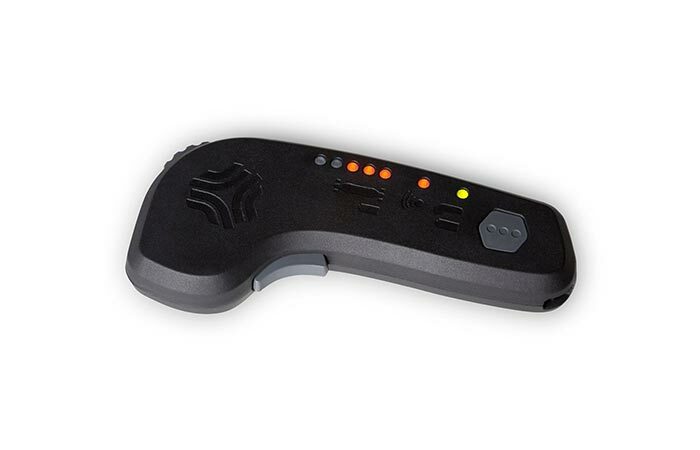 This controller is also equipped with an LED battery life indicator which brings us to the performance of the battery. The lithium ion battery can cover a distance of up to 6 miles, but this distance can be shorter or longer depending on the way you ride the Dual+. After the indicator warns you for a depleted battery, you’ll have to charge it for 60 minutes for a full charge or just 30 minutes for approximately 85% charge. 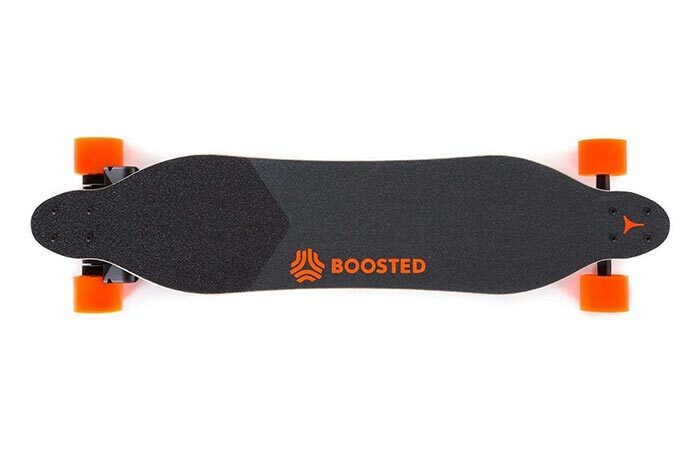 The Boosted Dual+ Board is perfect for urban environments and everyone who would like to avoid traffic jams on their regular commutes as it will allow you to cover short distances in a very short amount of time, all thanks to two very powerful electric motors.